Once we have a fairly good grasp of what we would like our Pool Cue to be and to test our skills on the Pool table, then it would be time for us to look for it, as we now have much information and we could work on those to select one. There are many brands out there, and all or most of them would adhere to the standards that are needed for them, but still, there are some which would be superlative in performance in the right hands. The Pool Cue could be the difference between a good player and a bad one hence carefully selecting the right one with the appropriate balance and precision tapering to deliver the right shot to get the ball into the pocket would be most important. Selecting the best among the best is very necessary if we are to progress in our game and reach the exemplary heights we envisage to achieve. The following brands have been selected and perusing them we could get a fairly good idea as to what would suit our playing ability and purse. Predator cues are designed and engineered to the highest standards in Jacksonville, Florida in the United States of America and have been in the business of manufacturing Pool cues since 1994. Promising the five Pool cue performance factors of accuracy, power, shaft, consistency and feel Predator cues enhances style and performance at optimum levels. Boasting of a very wide range of products to suit any level of playing ability Predator cues have everything there is to be comfortable in the hands of a professional or a beginner trying to find ways to master this exquisite game. Since the introduction of the “314 Shaft Technology” in 1994, Predator cues have never looked back and have brought innovations in cue technology to ensure that the tempo to provide the best to their customers is always upheld. The success gained in the early inroads made in 1994 saw Predator cues following up with new product lines every year and improving on their previous year’s innovations with player-friendly technologies. Some of their impressive introductions that have brought numerous accolades over the years have been their line ups like the “P2 technology”, “BK technology,” Z Shaft technology”, “C4 technology”, “Air technology” and the “3rd Generation Shaft technology of 2015”. All these were fruits of intense Research and Development (R&D) carried out to get the right mix and bring the best to their customers and they have achieved through the years and have been a force to reckon with in their line of business. The year 2016 saw the introduction of the “Revo Carbon Fiber Composite Shaft” technology being introduced by Predator cues, which superseded all expectations and was readily accepted by professionals, amateurs and the beginners too. As expected the year 2017 was broken into with a bang by Predator cues with the “BK-Rush Break Cue technology” which has been their crowning glory without doubt. The 2017 lineup has incorporated the latest technology with a Revo Carbon Fiber composite shaft developed to deliver more power with less effort and excellent accuracy and performance. Laying claim to a vibrant history dating back to the year 1975, McDermott Handcrafted Cues has introduced some of the most superlative Pool cues that the industry has seen over the years and has been in the forefront as a leader. Advancing technologically with dedicated Research and Development (R&D) over the last 40 years and with 12 brands tucked up under its belt, McDermott Handcrafted Cues is a name synonymous with quality and performance. McDermott Handcrafted Cues are manufactured in Wisconsin, USA, in a state of the art facility employing the latest technology which customers are gladly welcomed to take a tour and see for themselves the standards maintained and the quality products they would use. The brands that have been taking center stage through the years have been “McDermott Pool cues,” “Star Pool cues,” Lucky Pool cues,” and many others with specialized and specific advantages for the discerning pool player. No compromises are made when McDermott Handcrafted Cues are manufactured as every product is tested for quality in workmanship and performance before it is released to the shelves or sent to the market. This ensures that only the best would find its way to our hands and with a reputation of more than four (04) decades to uphold McDermott Handcrafted Cues would ensure that its best is what we would get. We envisage warranties from any product that we purchase, and only a few manufacturers would extend a lifetime warranty, and that is precisely what McDermott Handcrafted Cues offers its original purchasers. 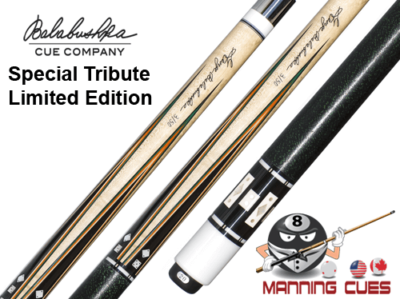 A lifetime warranty that covers manufacturing defects including warping is a lot to say about any Pool cue and any manufacturer extending such a guarantee should be confident that their product would stand the test of time and that is something to boast about. We could select the right Pool cue to match our abilities and performance levels, but McDermott Handcrafted Cues would bestow onto us that extra edge we would seek to enhance our competitiveness in a very competitive game. The proud stamp of approval that many in the Pool games industry in general and Pool cues, in particular, seek out before they would lay their eyes and hands on anything else and that is the “Made in USA’ confidence of a quality product. Meucci cues have been in the Pool cues manufacturing business since the mid-1960’s and have been providing aesthetically designed and technologically advanced products to their discerning Pool enthusiasts a lifetime of quality products. Manufactured under stringent quality standards in a state of the art manufacturing facility in Byhalia, Mississippi, Meucci cues offer a 60-day return policy, risk-free. In the 1970’s and through the early 1980’s more than 70% of winnings collected by professionals was with the use of Meucci cues in the various tournaments of that time. 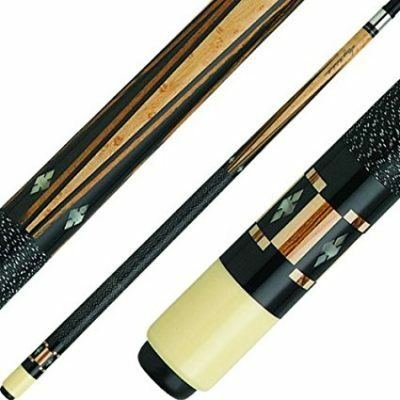 Meucci cues are still in the forefront with some of the most eagerly picked up products for all strata of players be they the professionals, amateurs or even the beginners. A product portfolio that many of its competitors envy and a Pool cue for everyone who is at any level of player experience and expertise is what Meucci cues offer. Beginners who have the love for the game and want to be a part of it, Meucci cues are at the center stage to fulfill their desires and have the right cues to ensure that they progress in their game and move on to greener pastures in their quest to be the best. All Meucci cues come with a Black Dot Shaft, a Free Hard Case, and free shipping within Continental USA which makes them that much more more comfortable and convenient to purchase, wherever you may be in the country. For other Pool enthusiasts spread all over the world, they do have many avenues to get what they want, and the informative Meucci cues official website should be able to guide them. Manufactured in Milwaukee, Wisconsin USA the brand of Schon cues has an impressive history to talk about and has been in the limelight in the Pool gaming industry for many decades. 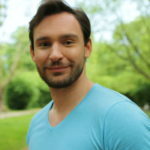 Opting to remain a small family managed enterprise rather than expand to become a mass production entity Schon cues has always been in the shadows of it founder Terry Romine who was a phenomenal money player in the good old days. Schon cues were born out of the necessity which was to have a well-balanced Pool cue in his hands, the founder handmade his first cue in the backroom of High Pockets North, and to this day that tradition is kept alive. The uniqueness of Schon cues is that all the cues that bear their name are traditionally crafted on one of the five tables in their traditional workshop with no state of the art facility. Some of the great names in the game have pledged allegiance to Schon cues and made fortunes playing with their cues, and there are much more who have been hustling for big money stakes across the US, in the past and even at present. The balance that Schon cues many others have not been able to match even with state of the art facilities because the master craftsmen who turn out these masterpieces spend time crafting each one without a machine churning them out. We would be naïve to think that computer-guided mass production would be the answer to our future needs for various products, handmade Pool cues would be an exception that we would need to accept, especially from Schon cues. If it is a handmade superlative Pool cue that you are contemplating of using for the New Year, then it got to be one from the Schon cues family as none other would come closer to the authentic craftsmanship that these undergo. Born in a two car garage and with a beautiful story to relate this wholly owned family company began from very humble beginnings as you could imagine growing into a force to reckon with in the Pool cue manufacturing business. At the helm of this very customer oriented business is Dan Janes who started it all way back in 1968 and along with his wife Debbie joining in and then subsequently his son Stephen in 1979 helping out Joss Cues is still very much a small company compared to others. By conviction, the Janes have opted to bring forth authentically handcrafted cues to their discerning clientele of whom they have an impressive list of some of the most famous personalities in the film industry and also those in the forefront of the game. The film “The Color of Money” a box office hit which resuscitated the baize topped game industry used only Joss Cues which were a tremendous boost to the image and the handcrafted authenticity with which they are made. Having personally handcrafted Joss Cues for celebrities in the likes of Tom Cruise, Nicole Kidman, Paul Newman, Dustin Hoffman, Jimmy Connors and the entire cast of “Mission Impossible,” the Janes are really in the excellent company. They wouldn’t be so if their excellent product Joss Cues did not pass the high standards that would have been required to be recognized by such an impressive lineup of celebrities. Joss cues could proudly hold their own against any competition with some of the best cues made anywhere around the world and their work has been recognized with Dan Janes being inducted into the American Cue Makers Association, “Hall of Fame”. Every detail is scrutinized with microscopic sight to ensure that only the best Joss Cues would leave the manufacturing tables and once they are out there is no doubt that it would be the best and nothing less. When we want the best cue, there is none another place we should look, other than Joss Cues which have been bestowed with fame and fortune making some of the best cues in the baize top gaming industry. Celebrating 50 years or half a century in the year 2013 of being in the game which is played on baize topped tables, the progressive advancement of Pechauer Custom Cues has been a tale of sheer commitment to detail and maintaining high quality. Jerry Pechauer had no idea what this game was and working as an apprentice under a truck mechanic he was invited to play a game one day by a friend. The game was won by Jerry, and he has presented an old broken Willie Hoppe cue as his prize, which started a 50-year journey where the name Pechauer Custom Cues is synonymous with cues of the highest quality standards. Today Pechauer Custom Cues has made an indelible mark in the Cue making industry and has been recognized for the precision balance and performance of their cues worldwide. Boasting of an extensive range of cues to select from, we could get some of the best cues money can buy if we take time to look through the impressive lineup that Pechauer Custom Cues has to offer. The impressive range of Pechauer Custom Cues come with a lifetime warranty for the original purchaser which may have some other conditions but is covered by all manufacturing defects and warping. This is the trust and commitment that Pechauer Custom Cues has on all their products and to do so they know that their quality of workmanship is exemplary and extraordinary. They have Pechauer Custom Cues in their range for everyone without exception from the high-end professionals to the amateurs and beginners which has been their forte over all these 50 years. Pechauer Custom Cues source their seasoned wood and ensure that they get the right Bird’s Eye Maple and Curly Maple which are the best to manufacture the ultimate cues that money could buy. If there is a cue that we would like to take our Pool game to a higher level, it is imperative that we find the best cue to accompany us on that journey and Pechauer Custom Cues is the answer to our quest. Lucasi Pool Cues are manufactured from the most excellent wood specially sourced and selected after which they are well seasoned over a period of two years, a process that has been mastered through the years. A patented wood stabilizer is carefully applied which ensures that the Pechauer Pool Cues serves a lifetime and does not warp and plays right to its name for many years into the future. Made in a state of the art manufacturing facility that uses modern technology to get it right, Pechauer Custom Cues is carefully crafted using the latest laser technology to ensure that every cue is what they say it is. The best materials go into the manufacture of Pechauer Pool Cues from the best Irish Linen wraps, to superfine leather, to premium Tiger Everest layered leather tips. The finish on the Pechauer Pool Cues is a class of its own with a gloss shiny exterior that makes playing Pool a proud moment to the holder of such an exquisite cue that performs as well as it looks and has that charisma like none other. A 60-day Satisfaction Guarantee speaks volumes of the dedication and commitment that goes into every Pechauer Pool Cues that rolls out of their manufacturing plant which ensures that only the best would reach us. Appropriately named after its two founders Don Owen and Royce Bunnell, taking the first letter from their second names, the trademark OB was created with the company named Owen-Bunnell Inc.
Based in the State of Texas they opened for business in the year 2005, but during these dozen years they have progressed beyond expectations and have made an indelible mark making some of the most excellent cues that money could buy. The Owen-Bunnell duo has brought in many innovations into the OB Pool Cues and has always been on the lockout as to how they could improve from one to the other. Over the last 12 years manufacturing some of the best Pool cues that have won major tournaments and brought many accolades, the OB Pool Cues is here to stay and would return better and improved innovations as time progresses. The forte of OB Pool Cues and their penchant for success has been their dedication to detail from fore to aft on a cue to ensure that only the best is offered to us, and that has held them in good stead and would do so in the future too. 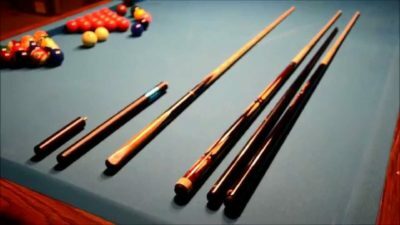 The range of OB Pool Cues made available is impressive, to say the least, and has provided professionals as well as the amateurs to pick one for them, to take to the table with confidence and then to reap success. An impressive Lifetime Warranty awaits all those who purchase OB Pool Cues, and that is just one way, apart from the quality workmanship and material they use for their cues to be recognized at every pool table wherever it may be. It all began in the year 1960 when Yuji Miki, the founder of Miki Company the manufacturers of Mezz Cues who was helping out his father in their woodworking workshop which was making traditional Japanese wooden products decided to try his hand in something else. He started manufacturing unfinished one piece cues for which he utilized a machine that he had designed and sold them to another company who finished it and sold it under their brand name. 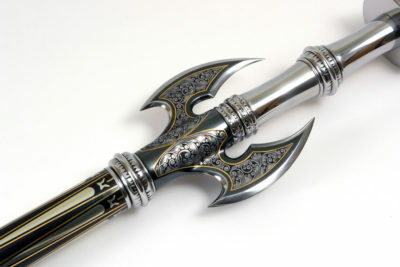 In 1963 he started making his own completed one piece cues that a trading company sold in the USA for him, and the demand grew for these, and he was turning out about 240,000 one piece cues per year, having moved into larger premises. In 1969 he began to manufacture two-piece cues as he knew the demand for this type was to increase tremendously in the future, for which he again designed and made his machinery or modified other machines. In 1991 in collaboration with an American company he made cues for them, which were sold under their name but with the economic downturn, the American company relinquished their rights to the partnership and Mezz Cues were born. Yuji Miki is a stickler for detail and needs everything to be just perfect as it should be and the same philosophy he has inculcated into all Mezz Cues, where every minute detail is checked to ensure that every cue that bears the stamp is worthy of it. Mezz Cues has an extensive range of cues from break cues, play cues, jump cues, training cues and more, for every type of play we would indulge in and has been in the forefront of bringing innovations all the time. The range available in Mezz Cues is very impressive with one for every player be they professionals or amateurs and even for the beginners providing something for everyone who loves this very competitive game. Jacoby Custom Cues was initially formed as Dave’s Cue Service in 1982, doing repairs in the basement of Dave Jacoby with his son Shane helping out. Their repair service was quite a busy place with many coming over for advice and running repairs on their damaged cues, and after some time the Jacoby family decided to venture out to make cues rather than repair them. That was the birth of Jacoby Custom Cues based in Nekoosa, Wisconsin in the USA and they have left an indelible mark in the cue manufacturing industry with some of the best and incredible cues we cannot get anywhere else. Dave Jacoby was the President of the American Cue Makers Association for six (06) years until he stepped down in 2013 to help out his sons Shane and the other Brandon to take the company Jacoby Custom Cues into the future. Jacoby Custom Cues has been doing an exemplary job turning out some of the best cues that money could buy and with Dave’s experience as an administrator in the American Cue Makers Association he has been able to pick the finer points in cue manufacturing. Jacoby Custom Cues would custom build your cue to your specifications for which you have only to send them the design and details with a 20% down payment, and you could have your perfect cue, in-between six (06) to nine (09) months. A lifetime warranty accompanies all Jacoby Custom Cues delivered to us against all manufacturing defects and workmanship which speaks volumes for the way that their cues are manufactured. They take extreme care to ensure that all Jacoby Custom Cues that leave their manufacturing facility has their stamp of approval and once it carries that, then we would be getting nothing but the best. The range of products in their portfolio is very impressive, and they have Jacoby Custom Cues for everyone and has always been on the lookout to ensure innovations are brought into how they manufacture their cues.